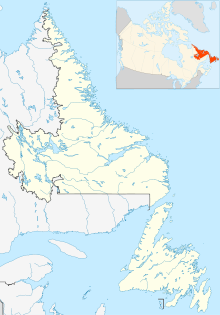 Nain Airport (IATA: YDP, ICAO: CYDP) is located on the shore of Unity Bay near Nain, Newfoundland and Labrador, Canada. Past three hours METARs, SPECI and current TAFs for Nain Airport from Nav Canada as available. This article about an airport in Newfoundland and Labrador is a stub. You can help Wikipedia by expanding it. This page was last edited on 31 May 2018, at 22:01 (UTC).